The latest news from our degrees in Advertising, Marketing, Marketing Communications, Public Relations and Politics. Posted September 13, 2015 . Filed under CMC News. The role was really varied and I was able to get involved in the majority of campaigns that Grapevine worked on throughout the year, contributing to different parts. I also found that my role changed throughout the year as due to a fast changing environment, it was necessary to adjust processes to keep ahead of competitors. The role could be broken down in to 5 main areas, although my responsibilities varied greatly. What were some of your highlights of the placement? – Going to a pitch and presenting with the team at Warner Bros.
What was the biggest challenge of the year? The beginning of the placement year was particularly challenging for me as I had a colleague who was difficult to get along with and as this was my first professional job I was unsure of how to handle the situation. Any advice for students currently looking for placement? I would suggest that although pay is important, it isn’t the most important aspect of a placement to consider. This is because I found that I have enjoyed my placement and have experienced far more in a small agency than my peers who went to work in larger companies. Therefore, I would look more at the job role that you are applying for and make sure it’s something you really want to do and will enjoy, because I found that this kept me motivated throughout the year despite not being paid as much as others. How did you find the placement support from the University? I found the support from BU was great, they were especially helpful in the first few weeks of placement and I felt that they were there to help if I had any issues. Posted September 11, 2015 . Filed under CMC News. Where are you originally from and why did you decide on coming to BU? I am from Germany and I decided to come to Bournemouth because the University has a great reputation, especially for the Media School. My first placement was for 3 month at Mediacom as a Planning Intern and then I did a second placement in Sport Sponsorship as Junior Research Executive at SMG Insight in London. What was it like having two placements during the year? It was quite useful to get to know two different companies especially because one was a very well established company and the other one was much smaller and hasn’t been around as long. 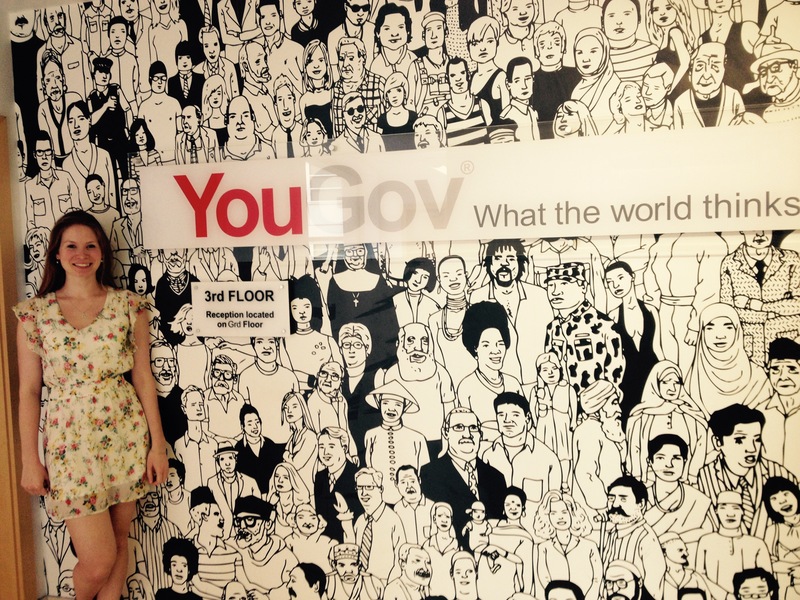 Having had experience from the Mediacom placement helped me to get the job at SMG, which clearly showed me how much employers are actually looking for applicants who have some work experience. I found that working in a really big company can be very intimidating and it often didn’t feel very friendly. In the smaller company I was much more integrated, which generally taught me a lot more. However, the workload was a bit too much sometimes. Has the placement experience helped you identify what you want to do in the future? During my placement year I figured out that I don’t want to work within the advertising/marketing industry. I have had doubts before while I was studying but after experiencing what it means to work in this industry I am even more convinced that I want to pursue a different career after I finish the course. I enjoy working life in general but I realised that the advertising industry is just not right for me. How did you find your placement reviews and the support from the University? The support from the University was really good. Since I was unsure about my choice of degree, speaking to my Placement Development Advisor has given me more confidence to stand by my decision to find a different career after I finish my course. She was generally really helpful, caring, and helped me to focus on what I really want to do with my life. Now that you are done, what are your plans for the rest of the summer before coming back to final year? My plans for the summer are to relax and spend lots of time at home. I am going to travel as well to see some of my friends from University. After that I will focus on writing my placement report and also make a plan of what I will do after finishing my course at Bournemouth University. Posted September 8, 2015 . Filed under CMC News. Best thing about the BAA programme in helping you get ready for your sandwich placement year? The BAA programme helped me to have an understanding of the fundamentals of the marketing and advertising industry (past and present) and it gave me the knowledge of the key principles underpinning the marketing activities which I was then involved with during my placement year. The BAA programme also taught me that importance of a combination of education and experience would be the best course for a successful career. No day is typical, especially when there are only two people in the marketing department! A day may comprise of responding to emails from Brand Managers all over the world, providing guidance on the usage of our assets in their markets and deliverables for their current campaigns, meetings with our marketing agency in London to discuss social media content & PR activity, and even more meetings with our events agency to continue planning our Dons of Tequila Global event in Mexico in October and our annual trips to Mexico (which I was lucky to attend this year!) A conference call with our Point of Sale agency in the Netherlands occurs at least once a week to discuss sampling, designing and implementing branded merchandise for the 4 main alcohol brands we work on. 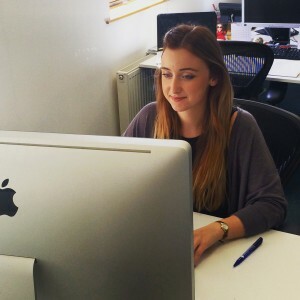 There are plenty of projects, big and small, which as a Marketing Assistant you get heavily involved with. What was your highlight of the placement? The highlight of my placement was to see the campaign ‘Dons of Tequila’ from planning stage, all the way through to completion. 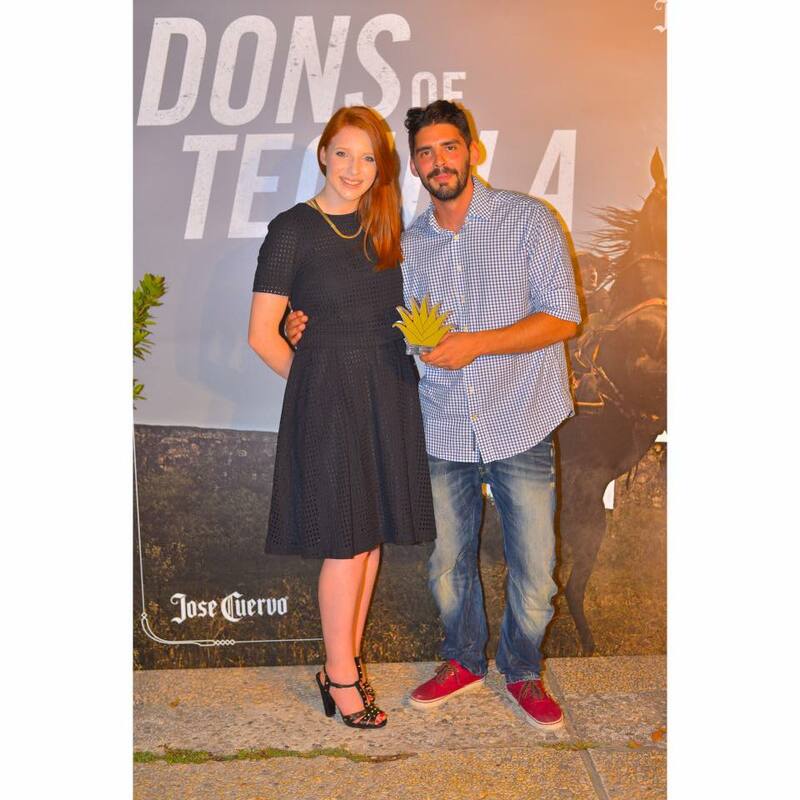 Being Jose Cuervo International’s largest trade campaign, there was certainly a lot of work involved. 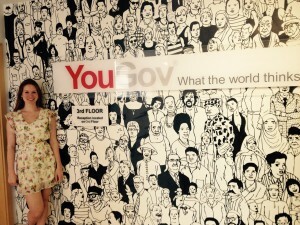 Spanning 17 countries, I worked on every part of the campaign; the global PR launch event, the creation of PR assets, digital advertising, email communications, traditional PR, trade print advertising, the creation of animated campaign assets, social media, 17 national events and the planning of a global event. I was lucky enough to attend two of our national events, one in Italy and one in Greece and these were probably my proudest moments, seeing the years’ worth of work coming to life and interpreted in different ways across the world. It’s a moment that I certainly won’t forget. Has this year helped you identify what you want to do after graduation? What are you thinking of? 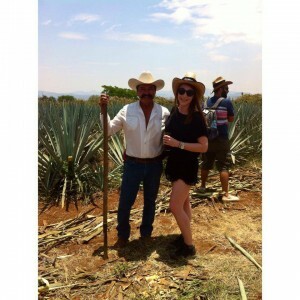 This year has definitely helped me identify what I would like to do after graduation; I would love to stay in the drinks industry and continue what I am doing. I think it’s the best job you can get! I am already excited about graduating and getting back into the industry. Posted August 31, 2015 . Filed under CMC News. 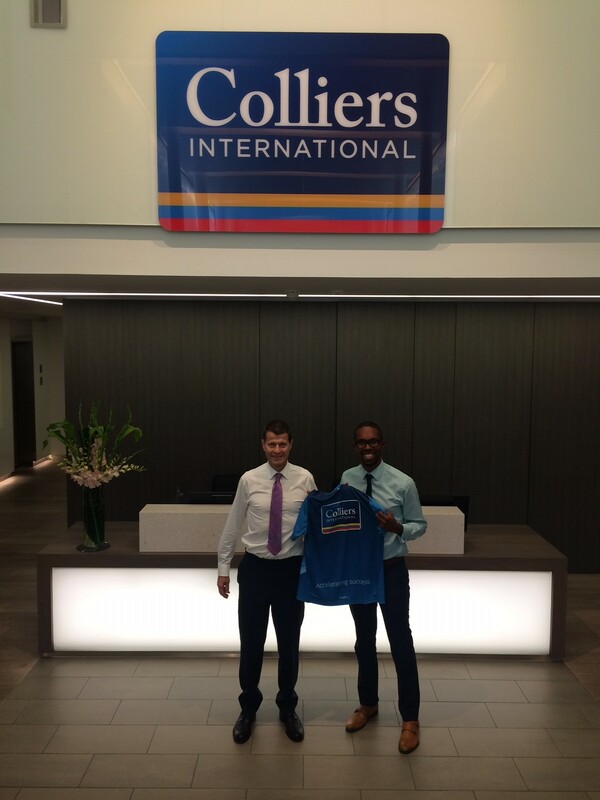 Colliers International is a Global Commercial Real Estate company employing around 700 people in 12 UK offices. I worked in the PR team with the Director, Associate Director and PR Executive, and the Digital Marketing Team with the Associate Director and Digital Exec. Although my title says ‘Assistant’ I definitely didn’t feel like one. I was made to feel like a member of the team from day one and given plenty of responsibilities over the course of the year. Highlights from your placement time? Going to my CEO’s house to film his ALS Ice-bucket Challenge video. Running my own UK-wide PR and Social media campaign for a member of staff on his quest to break a Guinness World Record. Biggest challenge of the year? The biggest challenge I found when starting placement was being able to manage my workload. As I reported to two different managers in two teams, I found it difficult to prioritise whose work should be completed first and within what timescale. Any advice for students currently looking for a placement? One word of advice I would pass on for students looking for a placement is to have patience!! You may be applying to loads of different companies and agencies, going for loads of interviews and then not hearing back or being rejected, but in the end you’ll find the right placement for you! I started applying really early on for a placement and didn’t finally get one until the beginning of May, which ended up being the perfect placement for me. How does it feel to be offered a contract to come back after graduation? To be offered a position as a PR executive straight from university is just crazy! I never thought I would be offered such a great position at such a supportive company. Loads of my friends kept asking if I would want to go back to a company where you’ve interned before, but when you work with such a great team who you can learn from and support you, I think I’d have been mad to have turned it down! Knowledgeable; I learnt so much from so many different members of my team, wider teams and the CEO. Tiring; 9-5:30 may be normal office hours, but for a first full-time job I found it exhausting to start with! It probably didn’t help that I’d go out after work for dinner and drinks as well though. Posted August 28, 2015 . Filed under CMC News. Quite honestly, I thought the placement reviews given by the Placement Development Advisors would just be another exercise that had to be done to prove our placement experience. As a result, I didn’t expect much from them at all. Considering my unfortunate predicament at my first placement, I dreaded filling out the forms and having to evaluate myself as I felt it would only confirm that I wasn’t doing very well. When I thought that all of the problems were down to me, and I was struggling every single day at work, I realised that I had to talk to you. It was definitely time to have our first placement review and I appreciated your perseverance in confirming a review. Thank you for making the time almost immediately as I needed to express to someone what was going on as the situation at work was horrible and I simply didn’t know what to do. For some reason, I thought you’d be very formal about it and give me generic advice. I remember the first phone call I had with you after I knew you had spoken to my supervisor at work. I was afraid to talk to you because I was expecting some kind of telling off for not doing well at placement. You said something along the lines of, ‘it just didn’t work out; stay professional and let’s move on.” I cried immediately; embarrassing but true! You were friendly, down to earth, and gave me practical advice. You even helped me by going through my CV line by line, which must have been a boring and painful job. I was greatly surprised, and really impressed, by the extent to which you were willing to go in order to help the students. You offered both practical help AND psychological support. I haven’t properly thanked you for all your help and the trouble you went through for me. Thanks again so much for the effort and time you put into the chats over the phone, for your trip all the way up to London to visit me, helping with my CV and many other things. I am sorry that my first placement wasn’t the best scenario, but through your continual support, you helped me regain my confidence and secure a second placement. Thank you for helping me successfully complete the placement year! Posted August 14, 2015 . Filed under CMC News. Where are you originally from and why did you go to BU? I am originally from a small village in Kent called Bearsted. I had known a couple of people from school who went to Bournemouth University and raved about it. When applying I thought I’d try out an open day to see what all of the fuss was about and fell in love with it. BU was my first choice from the very beginning… I chose Bournemouth because it was one of the top universities for my course in the country (Marketing Communications) and because it was by the beach! What attracted you to this placement? Disney, like I’m sure for all other people, is something that I know extremely well and love. I have a huge passion for the brand and believe in everything the brand stands for. 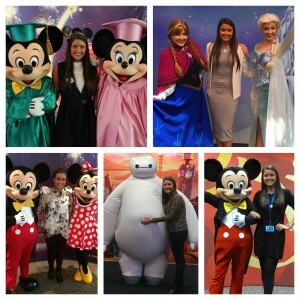 A major factor for my placement year was that I wanted to enjoy it and I knew working for a renowned brand such as Disney was going to be the best experience possible. What is a ‘normal day’ for you in the office? There is no such thing as a ‘normal day in the office’ in the House of Mouse. Your day may start off like all others by checking emails and having a few meetings but then occasionally out of nowhere a storm trooper will walk round the corner! In all seriousness, it isn’t just all fun and games .There is an awful lot of hard work that goes on day to day; however no day is ever the same. You are always working on something new and exciting…whether that be you’re next Disney Store marketing campaign backing the new Disney Theatrical releases, planning an event in store, planning a new store opening in Europe or heading out on a TV commercial shoot. What have been some of your highlights to date? Getting the job at Disney in the first place! Finally, I’m very lucky to say that I’ve worked on some major marketing campaigns with some of the most recognised and anticipated franchises of all time. Some of these franchises include, Star Wars, Disney Princess, Inside out, Cinderella (Live action) and of course… the one we all know and love… Frozen! To say that I have worked closely on all of all of these franchises and been a part of what The Disney Store produces is an honour! 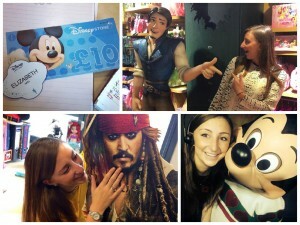 I’m very proud to say that I have worked for The Disney Store. Has this experience helped you to have a clearer idea of your future? What are your plans for life after graduation? Absolutely! I tell everyone that I know that your placement year is your most valuable year in the whole of your degree. Not only do you learn and experience a huge amount but you also get yourself into the right head set for your final year. Despite being sad to leave The Disney Store team I am so much more motivated now than ever before to get back to university and finish my degree to a level that I am proud of. My plans after graduation are still a little cloudy! I would love to do a bit of travelling but I can honestly say that I’m really looking forward to really starting my career! So, we’ll have to see. Posted August 6, 2015 . Filed under CMC News. I am originally from a small town called Rugeley in Staffordshire. After attending one of the open days back in Summer 2011 and looking at the wide variety of units available, there was no doubt in my mind about attending BU. Compared to other universities, I loved how Bournemouth had a compulsory year in industry as this was something that I have always wanted to. What has it been like working for Disney? 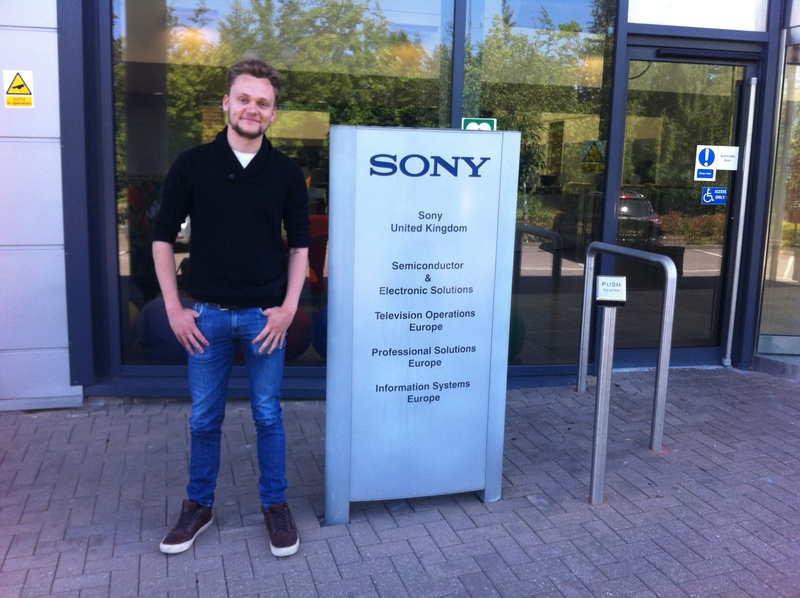 Having the chance to work for a well-known worldwide company has been amazing. There is a positive atmosphere across the whole Disney Destinations department and I have had the chance to build really strong working relationships. Apart from the Disney teddies all over my desk, Disney music in the office, Disney themed meeting rooms and the overall Disney positive vibe, I have loved having the opportunity to take on a lot of responsibilities in my role as a Digital Partnerships/ Marketing Coordinator. There are many highlights that I am proud of regarding my work over the past year. I have been fortunate to have worked both agency and client side over the past 13 months with still another month left of my placement at Disney. How has this experience changed you, both personally and professionally? I never imagined that my placement year would have changed me as much as it has. My year in industry has been a roller coaster full of highs and lows. From gaining a placement at a global marketing agency, to being made redundant and not having a placement at all, to then attaining another placement at a worldwide company has been something I will never forget. I have become so much stronger as a person because of it all and I now know, no matter what, to never give up in both personal and professional life. Do you now have a clearer idea of your future? What are your plans for life after graduation? Posted July 31, 2015 . Filed under CMC News. Sony is one of the most established electronics companies in the world and is one of the few brands that have led the development of products and services in so many different markets. I struggle to think of any other company that is not only one of the leading brands in cinema but also a key player in medical imaging technology. It’s this kind of diversity in the business that is reflected in my work. It’s a bit of a cliché to say ‘no day is ever the same’ but in all honesty, that’s more or less the case. What are some of your daily responsibilities? Day to day responsibilities vary. Some days, I may be researching medical products to put together a case study for a new surgical workflow or I might be heading to Amsterdam to run live social media updates during a trade show for AV Media; never a dull moment. A definite highlight for me was the opportunity to travel during my placement. I got to go to Amsterdam twice and Barcelona once during my time at the company, as well as heading up to London in the evenings for corporate events that included an NBA game at the O2 and The Rory Peck Awards ceremony that celebrated the work of freelance journalists in war torn countries. That, more than anything, was incredibly humbling. Having spent a year in PR for a Japanese Company, I have a greater level of respect for the culture and want to spend some time working out there after I have finished my studies. Posted July 25, 2015 . Filed under CMC News. Worked as a Creative for half the placement on the Creative team. Then worked as a Junior Planner and Accounts team. What inspired you about this placement? I was inspired by the potential of this placement; the potential to grow, develop and learn, as well as have a huge impact on the output of work. Due to the nature of the placement and the size of the agency, I knew I’d be working closely with senior and Director level members of staff. Studio Gill is incredibly well established, and is possibly the most original agency of Cardiff; therefore I was keen to make an impact. How have you found working life? Working life has been exactly what I expected, and more. Not only have I enjoyed working with new people on real briefs and the excitement of submitting a tender, but I have enjoyed the perks that come with that too. The nature of the agency, and the friendly atmosphere, has enabled me to flourish, make new friends and develop a level of confidence with clients that I would not have expected to gain in the 10 months. One of my favourite moments working for Studio Gill was having the opportunity to work solely with the Business Director to dissect a brief and establish a winning concept. Another huge perk was working with a high level healthcare brand and making a considerable contribution to the ‘second skin’ concept that the client absolutely loved. Nothing made the whole process more rewarding than hearing the positive feedback from the Business Director of the whole firm. Ubiquity Group [Studio Gill’s holding company] planned a leaving event for me on the 15th May and everyone in all five companies attended. How have you found the support from the University, particularly with the placement reviews and your designated Placement Development Advisor? The University Placement Development Advisor, who was Vianna Renaud, has been more than helpful for me on placement. Not only has she provided me with the right level of support throughout the process, but also travelled the long distance from Bournemouth to Cardiff, arriving with a beaming smile on her face for our meeting. What was it about Stephanie, her application and the interview process, that secured her the placement with you? Stephanie came across very well in the interview. She was confident and it was clear that she would fit in well within the team and would be able to work well with others. She also seemed hungry to learn and had a very positive energy and can do attitude. How has it been having Stephanie as part of your team? It’s been a really good experience for the both of us. Steph has contributed a lot to the agency helping out with different roles from creative writing and brainstorming to PR work. She’s been good fun to have around as well, which is important for moral, and hopefully she has learnt a lot in her time here. Any advice for students currently looking for placement that would like to join your team; what 3 things are a MUST for you? First and foremost they need to be a nice person and easy to work with. Secondly they need to be positive and go that extra mile so being proactive and thinking for yourself is important. Thirdly they need to be able to have a wide skills set from design work to creative writing as they are often asked to do a wide range of jobs. Posted July 21, 2015 . Filed under CMC News. 3. How did this project come into being? Within the Disney Destinations International department, there are 7 interns with different roles including Marketing, Sales, Advertising, PR and Finance. Our department has approximately 70 Cast members and each month we have a team meeting held in our in-house cinema. In one of our all team meetings we were asked to create a presentation showcasing what our roles involve within our teams and details of our experience throughout our year with the Disney Destinations team. 4. How did you go about it? Instead of doing a presentation in front of the department, we decided to take a more creative approach which was to produce a video that provided an overview of our placement year experience. 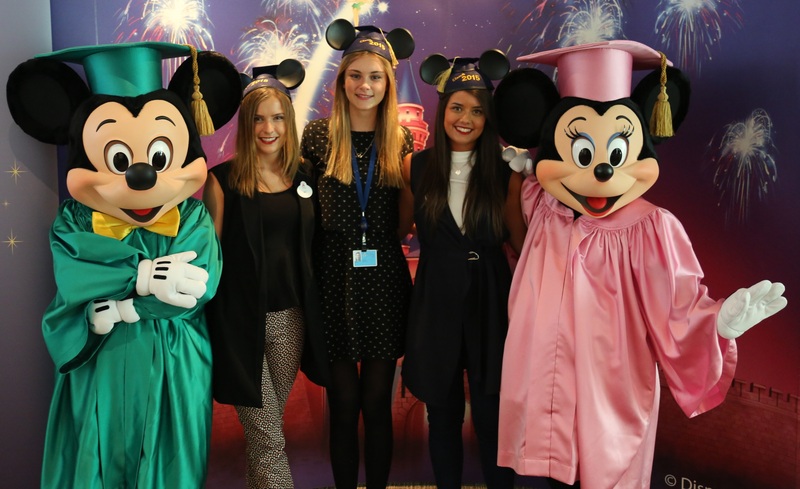 Our aim was to meet the criteria set by our department whilst also adding each of our own individual perspectives and experiences within Disney Destinations International. We wanted to include light hearted humour, whilst also giving a couple of minutes overview of our roles, who we report in to, what we do on a daily/weekly basis and also what we hope to gain from our placement year. 5. What will it be used for? The intern video was shared in our Disney Destinations Cast member meeting and has since been uploaded to YouTube. The video will be shared with new interns to give them glimpse into what their roles will involve and also to share with new long term cast members to help them understand how important interns are within the department and what they have to offer. As the 3 of us attend Bournemouth University, we decided to recreate a short version of the video that only includes our 3 roles at Disney. We wanted to share this with fellow Bournemouth students as well as possibly uploading it to Rate My Placement and to also showcase on the CMC blog. 6. What has the result been? As this is the first year the interns have been asked to present during the cast meeting, we were really pleased with the positive feedback we received from the wider team. As a result the management team have suggested going forward to introduce the presentation element at the start of the placement year so the wider team have a clear understanding of everyone’s role and who they report into. Since sharing our video our managers have created a leaving video, thanking us each for our work over the year as well as holding a ‘graduation’ ceremony which we were definitely not expecting!